Halmoni (grandmother) is full of stories and loves telling them to her grandchildren, Ok Cha and Yong Tu, just as much as they love listening to them. This collection starts by introducing the reader to the Kim household and their family dynamics. Each of the 32 traditional tales is then preceded by a short narrative about what was going on in the Kim house that prompted Halmoni to tell that specific tale. I enjoyed this collection of folklore immensely, partly because of the overall narrative framework surrounding the Kim family. Often collections of folk tales have very clear cut, standalone stories. This collection isn’t like that because the narrative bleeds into each of the tales, and the children make connections from one tale to another about similar themes and story elements. 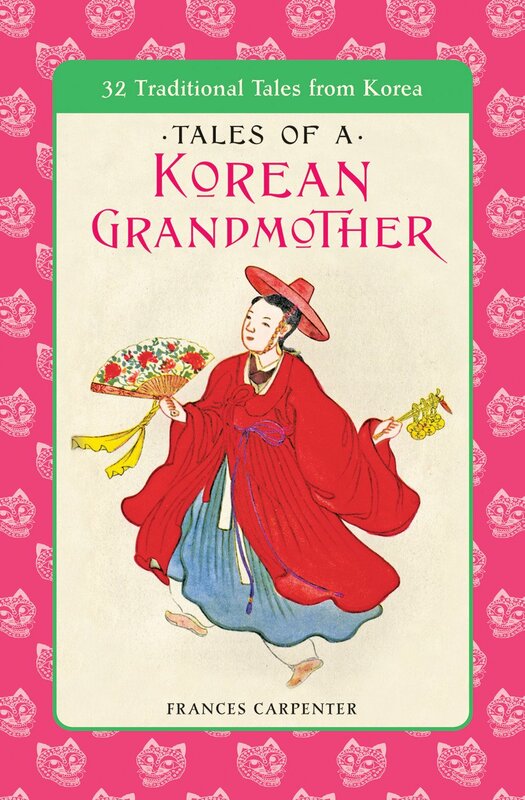 The folklore of a culture can provide a window into traditional values and beliefs, and this collection helped me understand elements of traditional Korean culture that I was thus far unfamiliar with. For anyone interested in Korean culture, or just looking for a good collection of short stories, this is an easy recommendation from me.